There has been a renewed interest in recent years among evangelical Christians regarding the sacramental nature of our faith. Most Protestants recognize Baptism and Communion as sacraments, although they usually prefer the term “ordinance” (a fancy way of referring to something that Jesus instructed us to do). Catholics have seven sacraments: Baptism, Confirmation, Eucharist, Penance, Anointing of the Sick, Matrimony, and Holy Orders (ordination to full-time ministry). 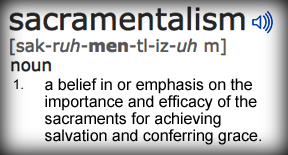 As this definition states, sacramentalism is the belief that the proper administration of the sacraments — regardless of how many you include in your personal list — imparts something of God’s grace to us (and for some, are the means of salvation). God’s ongoing grace to us — this side of Kingdom come (the “not yet”) — is given through our participation in the sacraments. The Holy Spirit is the Sacrament of the Christian life, and any additional rituals — mediated by people — detract from the sufficiency of the Spirit. 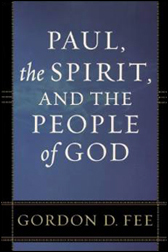 I would highly recommend Gordon Fee’s excellent book Paul, the Holy Spirit, and the People of God as a resource here. Fee’s robust argument that the “promise of the Father” that Jesus referred to — the pouring out of the Holy Spirit on all Christians — is at the heart of a Trinitarian understanding of our faith. Fee does a masterful job of tracing the Spirit’s work in our salvation, the transforming of our ethics (justice), empowering our sanctification and our service, and creating an authentic koinania community among us. Again, there are many nuances within the sacramentalist school of thought that I haven’t addressed here. My desire is not to somehow demonstrate that sacramentalism is wrong per se, but only that it is a pale substitute for the true source of God’s ongoing grace in our lives: the Holy Spirit of Jesus, who will continually fill us with Himself as we seek Him. I took courses from Gordon Fee, and he is pretty charismatic. What are your views on that aspect of the Spirit, after all these years? While Fee and I would not be on the same exact page on everything (Ie. since Fee is Pentecostal, I assume he believes in tongues as “initial evidence”, which I don’t), I am a continuationist who believes that all the gifts of the Spirit are alive and well today. I feel as uneasy with the term “charismatic” as some of the other writers here at ThinkTheology feel about the term “evangelical” — the term is so loaded with baggage that it’s almost useless in communicating anything helpful. Fee actually isn’t a classic North American Pentecostal. He’s published on his rejection of “initial evidence” in several locations, which is why he’s been engaged by a number of North American Pentecostals (Menzies, etc.). He also has some great pushback on subsequent Spirit Baptism too in that he appears to hold to more of a “Third Wave” approach. I do remember someone commenting he had essentially been kicked out of the AOG or at least took a lot of guff from them for being a scholar, and for not holding standard charismatic views. This is Paul Cottingham, by the way. Hope all is well, and I’m still welcome to comment here! Yes, Luke has also pointed out that Fee is not a typical Pentecostal. I just know that he’s always referred to as a “pentecostal scholar”, and that I really appreciate his books. He doesn’t. He’s published a number of journal articles. That being said, he still considers himself a Pentecostal, though it might be appropriate to classify him as a (p)entecostal. Allan Anderson’s books on Pentecostalism have very helpful clarifications regarding the difference between global Pentecostalism and North American Pentecostalism. He hasn’t been kicked out of the A/G though. People have certainly challenged him, but he is very much loved and appreciated by many folks in the Assemblies. While the biblical and theological challenges he raises certainly have practical ramifications, it is sometimes splitting hairs because Fee is one who contends for the power and presence of the Holy Spirit in the lives of followers of Jesus! So with that, most Pentecostals, Charismatics, and Third Wave folks would say, “Amen!” I certainly would! Even when I took classes from him, I suspect he was a (p)entacostal. Shameful for me to say it, I think he is too scholarly to be a full blown (P). 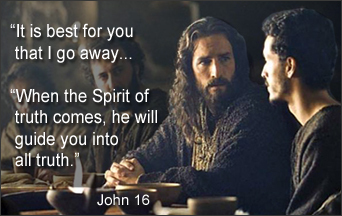 He certainly informed my theology regarding the spirit and the gifts pretty strongly. I still hand a copy of “how to read the bible for all its worth” to as many folks as I can. Glad to hear about the AoG and him. When I was at Regent, I heard tensions between them were high, at least in some quarters. He (and a great deal of his writing) informed a lot of my spirItual growth as a (c)harismatic. Mostly in indirect ways, but it is definitely there. The Spirit can never be a sacrament him/herself, for a sacrament is a visible sign that mediates Gods grace to human beings. The Spirit can be seen as the divine reality that endows us with Gods grace, yet the Spirit cannot be the visible sign of this him/herself. The sacraments are, so to speak, the outward, visible signs of the sustaining, empowering presence of the Spirit in the economy of salvation. 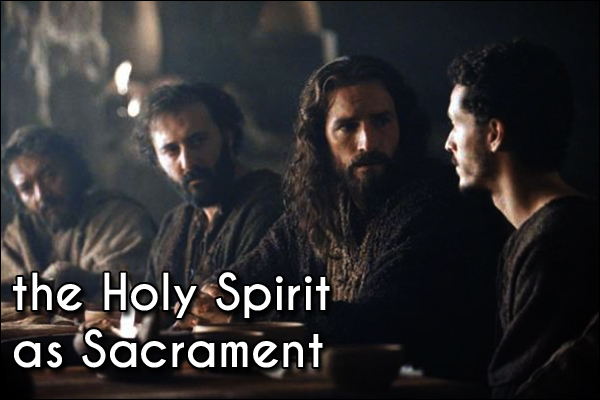 Without the inner working of the Spirit, the sacramental form would be empty. Vorgrimler’s work on Sacramental Theology is a classic, seen from a Catholic perspective. For a more charismatic/evangelical introduction to sacraments, see the short “Sacraments, Sacramentality” by J.A. Zimmerman and T.E. Johnson in Global Dictionary of Theology (IVP 2008).